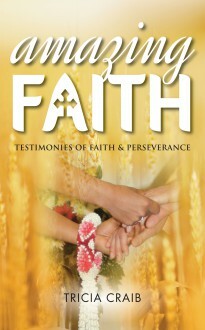 Amazing Faith: Testimonies of Faith and Perseverance shares the testimonies of fellow students the author met while attending a Theological College. Their stories begin when they were children and enable us to follow their journey to adulthood and on to serving God in various ways. Told from the perspective of each individual, each story will give you the opportunity to experience their sadness and difficulties as they strive to survive in their own culture. Against enormous odds all achieved greatness in the work they are doing to the glory of God. You will cry with them through their struggles and laugh with them as you see God working through them in remarkable ways. These young children had nothing exceptional about them—they were just ordinary children with all the potential God had given them. As they met God their faith grew and they learned to trust God for their future.